SurvivorNZ: Thailand (2018) - 14th place, 5th out. Voted out in Episode 5 (Day 15). NZ: Thailand Ep. 1 RC: With JT, loses the match point to Josh and Brad; Chani loses. NZ: Thailand Ep. 1 IC: Helps gather stairs and crosses the maze, but Chani loses again. NZ: Thailand Ep. 3 RC: "Idol Hands" - Beats Josh twice, crushes a fence, and Chani wins, 10-3. NZ: Thailand Ep. 3 IC: "Deep In Thought" - Fails to retrieve any of Chani's puzzle wheels; Chani loses big. NZ: Thailand Ep. 4 RC: "Sumo at Sea" - Goes 2-1 for Chani—beats Dylan twice, loses to Matt—but Chani loses, 10-5. NZ: Thailand Ep. 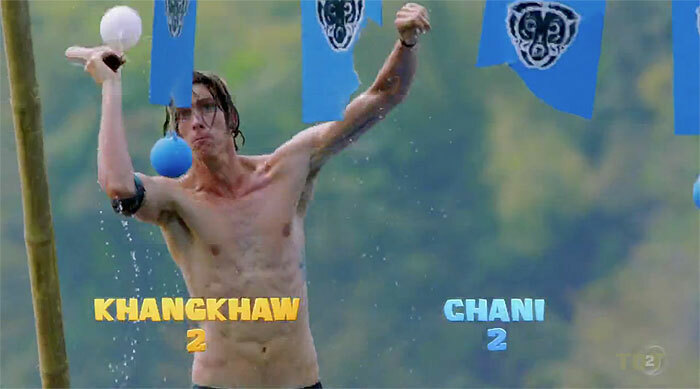 4 IC: (Chains, bolos) - Chained, gathers bags, and finally, Chani wins! NZ: Thailand Ep. 5 RC: (Spinning discs, plank cross) - Now with new Khang Khaw, leads the crossing, Khang Khaw wins! NZ: Thailand Ep. 5 IC: "Buoy oh Buoy" - With Lisa, retrieves second fish trap, but Khang Khaw loses. NZ: Thailand, Ep. 2: Karla Karaitiana (voted out, 7-1). NZ: Thailand, Ep. 3: Franky March (voted out, 6-1). NZ: Thailand, Ep. 2: One vote, from Karla. NZ: Thailand, Ep. 5: Four votes, from Brad, Lisa, Tara, and Tess. Stuff.co.nz (4/12/18): "Survivor NZ contestant Liam Hose swapped Hobbiton for a shot at $250k"
ZM Online (4/13/18): "Meet the Survivor contestants: Dylan, Eve, Tess and Liam"
Jack Van Beynen at Stuff.co.nz (5/22/18): "Liam Hose denies claims of sexist voting"
Ryan Brink at Brink of Reality (5/22/18): "Thailand Exit Interview | Episode 5"
Kristin Macfarlane at the Bay of Plenty Times (5/23/18): "Five things you didn't know about Survivor NZ contestant Tauranga's Liam Hose"
"Owning the title ‘typical millennial’, Liam is all about going outdoors and having an adventure – be it on land or sea with some form of board in hand. Creating videos for YouTube is his latest venture, so as soon as he heard he was on Survivor New Zealand, he turned his camera on to film his reaction. With his ultimate pet peeve being people that walk too slow in front of him, Liam is pretty happy to know he won’t be dealing with too many sidewalks in Thailand. Why did you apply for Survivor? I've started trying to go after all the wild dreams I had as a kid. On my bucket list, I had 'go to Thailand, go on reality television and get stranded on a desert island', so three birds with one stone isn’t bad! I just want to collect as many experiences as I can and this was such a huge opportunity to get a whole lot of interesting, painful and crazy experiences all wrapped up in one present. The power of saying yes and just applying for stuff is huge - it can take you anywhere. What survival experience in the outdoors do you have? I’ve always loved the outdoors; hiking is like therapy for me. I’ve never really grown out of the climbing tree stage and absolutely froth over heights, so being able to climb a tree and get a sweet view is always a win. The only real survival experience just goes back to being a kid and building little shelters in the forest and making weapons out of sticks. 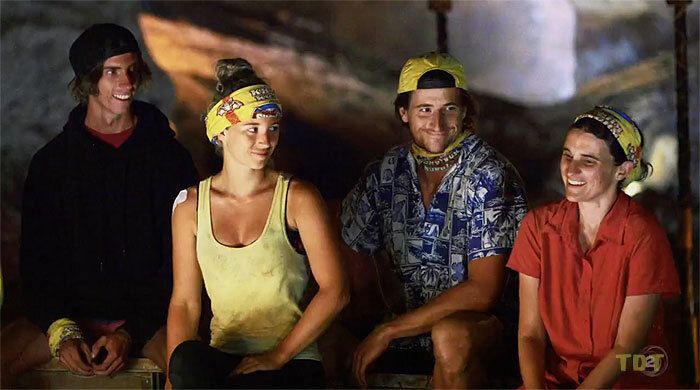 What did you do to prepare for Survivor? I ended up doing a lot less then I originally planned to! I had such grand plans to re-watch the Australian seasons and the first New Zealand one, step up my workouts and buy a whole bunch of puzzles to practice with every day. In the end, I watched the first New Zealand season, took up a bit more running and did at least one puzzle. Thoughts on Alliance or Immunity Idol? My first move straight away when I get to the beach will be to try to find a core group of physical people I can trust and get on with. I'm definitely going to be looking for Idols, I think the power of an Idol is immense and anytime you can guarantee your safety is huge!"